Not much is more frustrating than trying to talk on the phone when your cellular reception is low. From broken sentences to incomplete words, the conversation is pretty much incomprehensible. The most obvious thing to do is keep your phone charged. A full battery guarantees the best hardware performance. But aside from finding the sweet spot in your apartment, there are a few things you can do to improve your cell phone service. Most phones now have a Wi-Fi assistance option. This is certainly the future of voice calling, and it’s free. All you need is an internet connection. 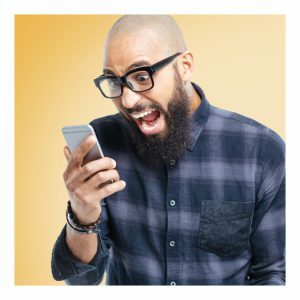 And if your phone doesn’t have a Wi-Fi assisted option, you can simply forego your phone’s default voice calling by downloading any of the number of free Wi-Fi calling apps available on app stores. You can also get free texts through these apps also. A femtocell is a powered base station that connects to your internet service in order to amplify your cell phone signal. It’s basically an in-house cell tower. Through the Wi-Fi, a femtocell bridges the gap between the cell phone tower signal and obstructions (such as your house, its walls, and objects inside the house). It also reduces the number of cell phones using the cell tower directly, thus improving your signal. The post Boost Cell Phone Reception in Your Apartment appeared first on Apartments For Us.